Welcome to Hundley & Sons Builders. We are delighted that you've taken an interest in our company. For over thirty years, we have provided quality, custom residential and commercial construction services. Our services include new construction, luxury features, custom designs, renovations, restorations, remodeling and additions. Contact us today to turn your construction project dreams into a reality! 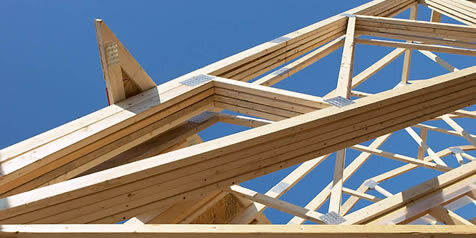 For over thirty years, Hundley & Sons Builders has provided outstanding construction service solutions to our clients. We pride ourselves in the quality craftsmanship and impeccable customer service provided by our skilled professionals. From our Germanton, North Carolina office we deliver unique, quality construction solutions for our diverse residential and commercial clientele in North Carolina, South Carolina and Tennessee. Our satisfied customers are our pride and joy. With the ultimate care and personal attention, Hundley & Sons Builders strive to deliver outstanding services and build structures that exceed the already high expectations of our clients. Your satisfaction is our goal. Contact us today to begin your journey to make your construction project dream a reality! We provide FREE estimates. There is no substitute for hard work, skill and integrity. Hundley & Sons Builders provide residential and commercial construction solutions that include new construction, luxury features, custom designs, renovations, restorations, remodeling and additions. We are a bonded, licensed and insured company that operate with the highest ethical standards. Hundley & Sons Builders take no shortcuts, pinch no pennies and do not misinform clients about the construction process. 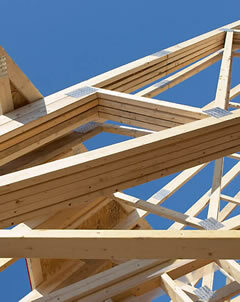 For your safety and quality construction, we specialize in stick built structures with every nail driven by hand. We take great pride in every nail driven and satisfied client gained. Our highly skilled professionals guarantee your satisfaction, develop a solution to fit your budget and keep you apprised of every phase of your construction project. Contact us today to turn your dream project into a reality. Hundley & Sons Builders has developed a reputation for excellence in the construction community. Our All of our family, skilled professional possess the necessary safety certifications, industry knowledge and experience to fulfill your project needs. For over thirty years, we've worked hand-in-hand and established excellent working relationships with realtors, architects, engineers, subcontractors, city, county and state inspectors and officials in order that we can better serve you, our valued clients. Over the years Hundley & Sons Builders take great pride in the number of life-long relationships built with our clients and construction industry professionals. Visit our testimonials page to share in some of our successes. Copyright 2011. Covenant Consulting. All Rights Reserved.